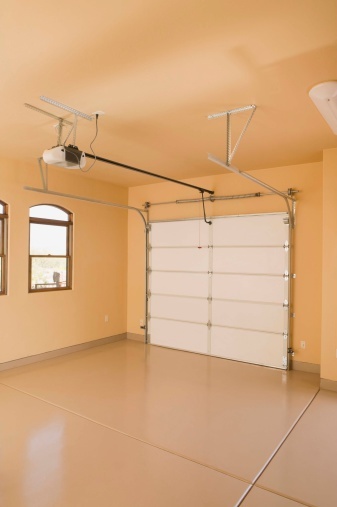 Adding a garage to your home is one way to add value and usable space, as well as protecting your car or truck from the elements. However, home renovations can be pricey. Learn the potential costs before getting started. A spacious garage addition allows for storage and project space. Larger garages normally cost more, which can encourage cost-conscious homeowners to keep things cozy. However, a too-small garage can create space problems. According to Garaga, a single garage should be at least 12 feet wide by 22 feet long (264 square feet), and a double garage should be 18 feet wide by 22 feet long (396 square feet). Building bigger can bring the price up. Costhelper says an 850-square-foot garage with plenty of storage space could cost $38,000 or more. Professionally-built garages cost more than doing it yourself. According to CostHelper, contractors usually charge $35 to $45 per square foot for a basic garage, and up to $55 per square foot for a garage built with higher quality materials. For a basic single-car garage, that comes to between $9,240 and $11,880. A higher-end, single-car structure might cost as much as $14,520. If you have more experience with building projects, you may want to do some or all of the work of adding a garage yourself. CostHelper lists the price of materials for a simple single-car garage at $3,000 to $4,000. A garage kit with partially pre-cut or pre-fabricated materials costs anywhere between $5,000 and $14,000.